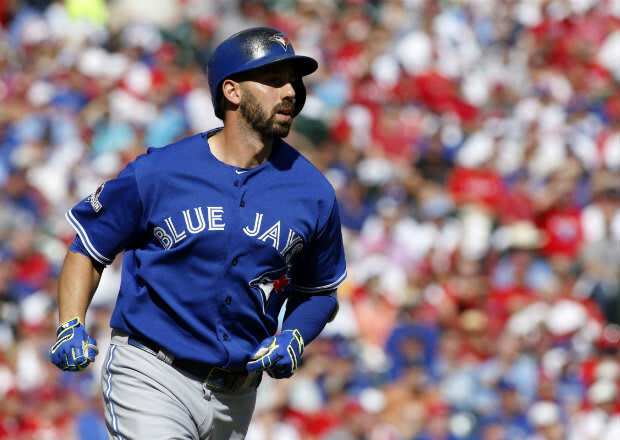 Friday started poorly for the Toronto Blue Jays with the news that first baseman Chris Colabello had been suspended 80 games after testing positive for a performance-enhancing drug. Though he hadn’t been hitting so far this season, the Jays aren’t exactly flush with replacement options on the farm in Buffalo and the news hurts more from a clubhouse perspective, as Colabello’s rise from indie league journeyman to daily contributor was a tremendous story and earned him respect with his peers. This sullies that story and tarnishes his image, even though he – like everyone else that has ever been caught using PEDs – maintains he never used anything. When the team took the field later in the day, it didn’t get any better, as the Oakland A’s rolled into town and handed Toronto its third consecutive loss by racing out to a 6-1 lead and holding on for an 8-5 victory. Starter Aaron Sanchez has his worst outing of the season, giving up the initial six over just 4.1 innings pitched, allowing 10 hits and walking one while collecting three strikeouts. Given the way he’s played outside of this game, a hiccup is understandable and Friday’s poor outing shouldn’t be taken as any kind of sign. The offense had one of those nights where there were positives and negatives and a squandered opportunity in the sixth became the difference in this game. Trailing 6-1 in the bottom half of the inning, Toronto loaded the bases with no one out with Jose Bautista and Edwin Encarnacion due up. “Joey Bats” did his part, drive one home with a sacrifice fly, but Encarnacion lined out to center and Josh Thole walked one batter later to end the inning. Three on, none out and only a single run scored; those are the swings that decide games. Additionally, it might be time for the Jays to start thinking about keeping closer Roberto Osuna out of the game in non-save situations. Down by just a run heading into the Top of the 9th, John Gibbons turned to his closer and for the second consecutive outing where he wasn’t called upon to wrap up a win, the young righthander struggled, giving up a pair of insurance runs that Oakland didn’t really need since closer Ryan Madsen slammed the door shut in the bottom half. Toronto played this one without Troy Tulowitzki and Michael Saunders, both of whom were given the day off, and lost Russell Martin midway through the contest due to neck spasms. No one is ever going to mistake Barney as a stick-man like Josh Donaldson, but the utility infielder with the slick mitt has been having a solid year at the dish for the Jays and Friday was another one of those evenings. Barney collected two hits, including his first home run of the season, driving in two, scoring two and pushing his average to .294 on the year. Given that he’s a career .245 hitter over multiple seasons as a starter, this is a big plus and a solid one-year signing so far for the new Toronto brass. On Deck: J.A. Happ hopes to stop the bleeding for the Blue Jays and pick up his third win of the season, while Oakland counters with Chris Bassitt.